When Jaguar revealed it would build the F-Pace Sport Utility Vehicle (SUV), men in flat caps and string-back driving gloves nearly choked on foaming pints of real ale on hearing the news at the local Jaguar owner’s club meeting. They protested that any car maker that can count the E-Type, often held aloft as the world’s most beautiful sports car, on its CV must be taking leave of its senses to make an SUV. Thankfully, nobody listened to them. After its introduction in early 2015, the F-Pace went on to become the fastest-selling Jaguar in history. In fact, some say it saved the company. The formula for the F-Pace seems simple. Take the mould that created the Audi Q5, BMW X3 and even the Volvo XC60, and rework it to come up with a Jaguar version. However, that’s more difficult than it sounds. For example, in America, for a new car to be officially classed as an SUV it must conform to certain regulated dimensions. It’s one reason so many people grumble that modern cars look much the same. So it’s no mean feat that the F-Pace looks distinct. It’s a handsome thing, with a classy vibe that’s a cut above the German competitors, and up there with the latest Volvo XC60 for feel-good factor. The range is priced from around £36,500, for a Prestige 2.0d (163PS) to nearly £75,000 for the fire-breathing F-Pace SVR. 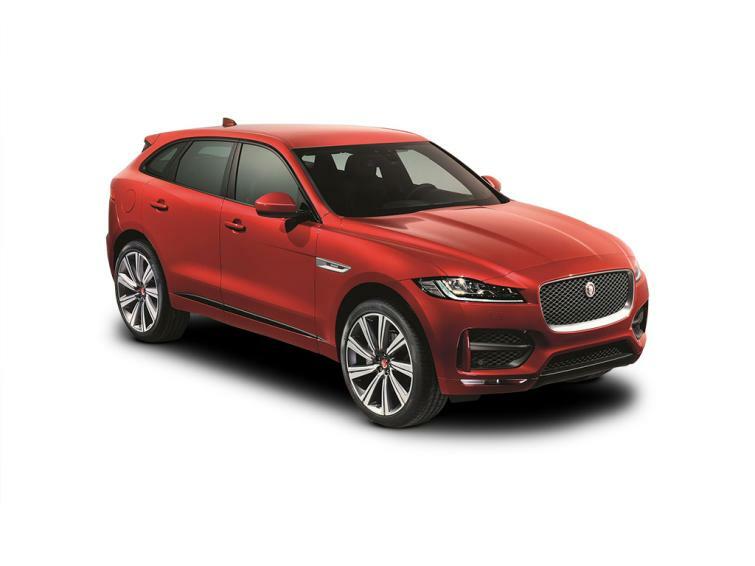 Some models come with rear-wheel drive, others with what Jaguar calls all-wheel drive – four-wheel drive to the rest of us. Most customers pick the 2.0d (180) AWD R-Sport, which costs just over £43,000. Bear in mind that its CO2 emissions of 157g/km mean it attracts road tax of £515 in the first year and then £450 a year for the next five years. The interior is minimal, with a large touchscreen system for most controls, but the software is a generation behind the slick and intuitive menus now used by Mercedes and BMW, The rotary dial for the gearbox rises majestically from between the front seats. It boasts space for five adults and a class-leading boot space of 650-litres. If you regularly carry lots of luggage or pets, this is a good 100 litres larger than competitors’ boots. Some owners recognise these problems and have complained to Jaguar; others say they’re entirely satisfied and have experienced no such issues. Either way, the F-Pace is for the most part a very good family SUV that brings a style of its own to a popular part of the car market.